This time of year is all about eating, which is one of the reasons this time of year can be pretty incredible. Unless you have Celiac disease. Or you are cooking dinner for someone with Celiac disease. People with this particular autoimmune affliction cannot eat gluten which is in pretty much everything processed--even some spices that might be put on a turkey or broths. And all those rolls? Forget about it, nothing but gluten. My son JT has Celiac disease (click here to read more about his story) and that is the only reason I know anything about gluten and what has it and what doesn't. We have been a gluten free household for almost three years and even though I know so much more than I ever thought I would know about what's in our food, I still don't know everywhere gluten hides. That sneaky gluten is why I'm up at the elementary school more than ever before (which still isn't that much by some PTA mom standards, god love those moms). Any class party that involves eating, which don't they all, I am there. No, I'm usually not helping with the games or passing out the treats (and that could be why the other moms don't always love me). I'm there to check labels, make sure there is no cross-contamination (even a crumb of gluten can make my son sick) and provide replacement snacks for class treats like cupcakes and cookies. I know I won't always be there for him and that he needs to manage all of this himself, but he's only 6 years old and in the first grade. I am teaching him to manage this by being there. Last Thanksgiving I wasn't. JT got tempted and took one small bite of a cookie at the class party. He immediately had stomach pains, threw up and was sick for two days after that. This year's party was different. Well, except for the fact that I didn't help out and those moms still don't love me. 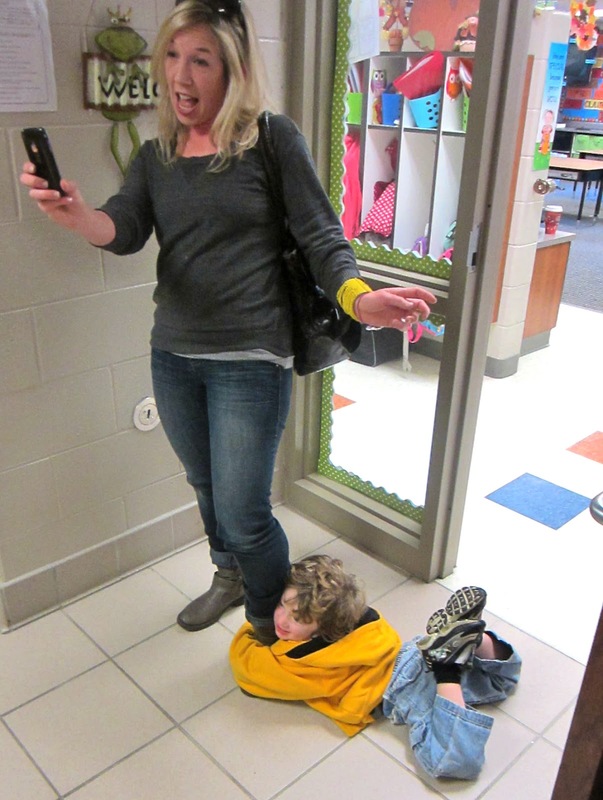 I showed up with baby Wade clinging to my ankles and causing trouble. I reminded JT what was okay to eat and what wasn't. I got to see him sing the "grateful song." And see him sitting with his classmates like a normal kid without anything "different" about him. 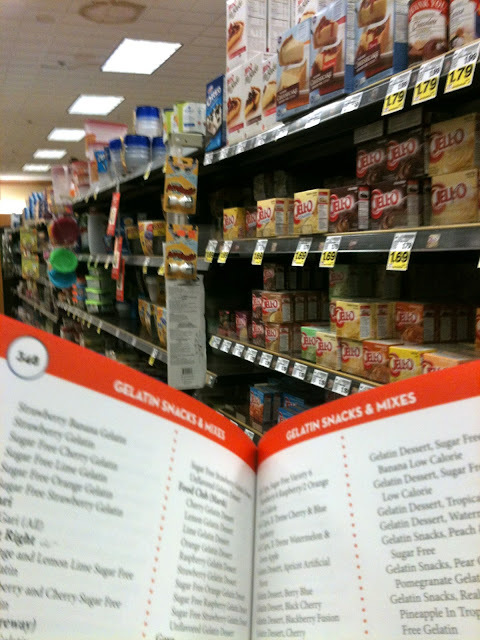 Even though I may sound like I know a lot about gluten free foods, the truth is that it is still all very confusing to me. Especially when there are so many brands and so many weird things with gluten. For example, regular Doritos have gluten, but Cool Ranch Doritos do not. It's crazy confusing. 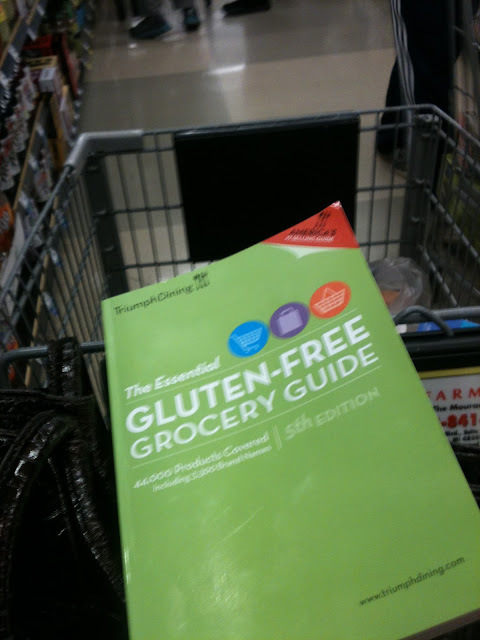 For a recent holiday grocery shopping trip I took along a trusty guide to help with all my gluten questions--Triumph Dining's The Essential Gluten-Free Grocery Guide, 5th Edition. The book was so helpful, easy to read and well-organized. You may be thinking "why doesn't she use her smart phone, what a dummy." Well, I have found that sometimes my phone takes too long or the connection doesn't work in the middle of the grocery store. (Funny how it always seems to work when my crazy mother calls.) A good old-fashioned book is easier for me to flip through, dog ear pages and such. Thanksgiving class party can be checked off the list as a gluten free success. I plan on bringing the grocery guide to my mother's house for Thanksgiving dinner, just in case my phone's WiFi gets all wonky. At least with the guide on hand, the gluten free success rate of Thanksgiving dinner should be higher. Now what kind of guide will get me through the rest of the holiday? Is there a guide for crazy mothers?